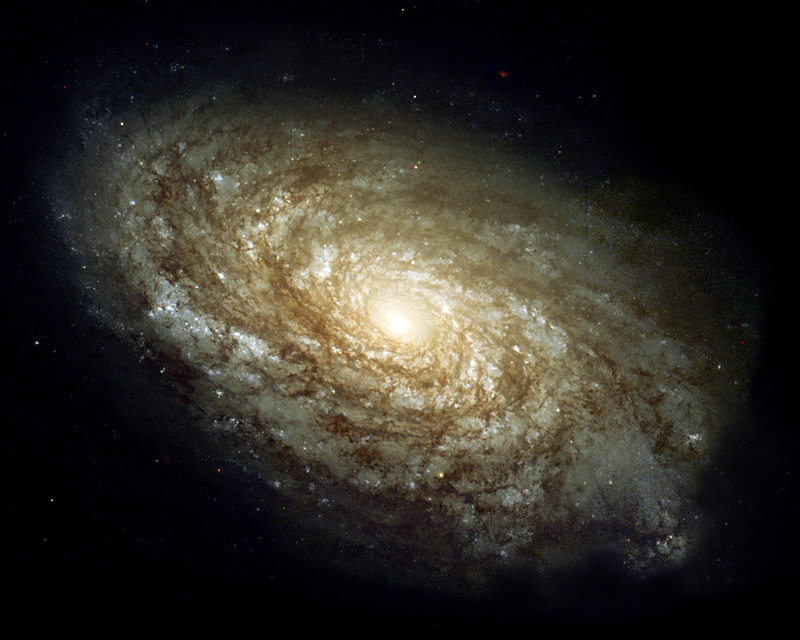 This magnificent image of a spiral galaxy shows how these galaxies have central regions containing older and more red and yellow stars. 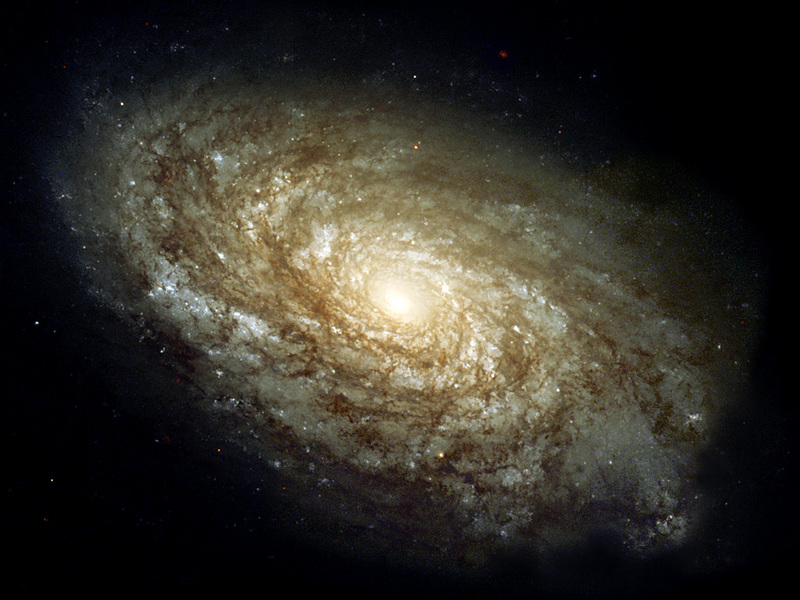 In the spiral arms, stars are being born all the time, and therefore these arms contain more blue stars - and also large amounts of dust. 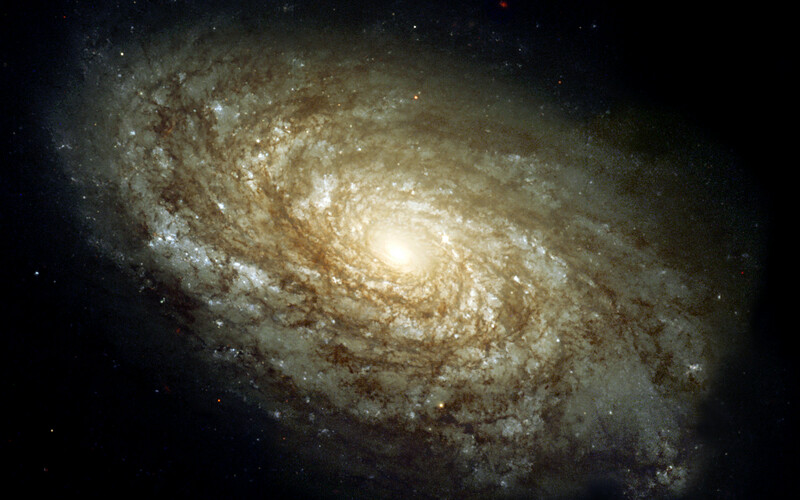 Images were obtained with Hubble's Wide Field Planetary Camera 2 (WFPC2) through three different colour filters. Based on their discovery and careful brightness measurements of variable stars in NGC 4414, the Key Project astronomers were able to make an accurate determination of the distance to the galaxy. Position (Dec): 31° 13' 22.50"